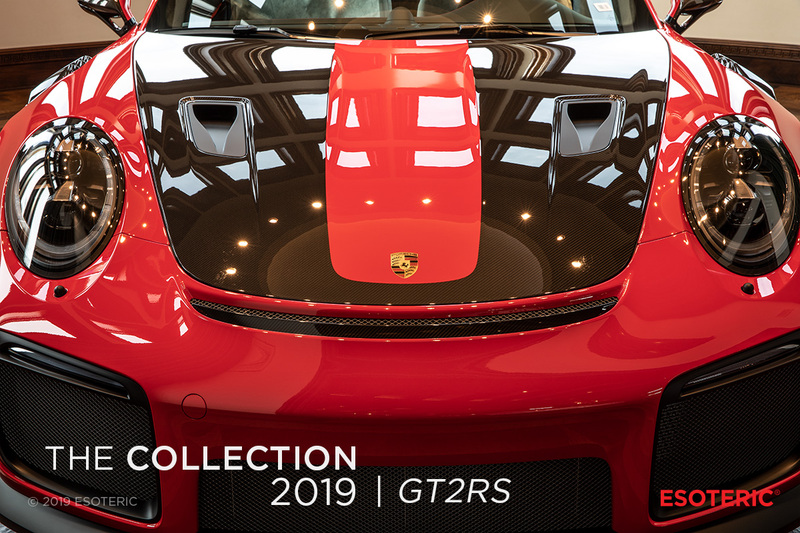 For the third and final part of our Collection 2019 series, we would like to showcase this Guards Red Porsche GT2RS. 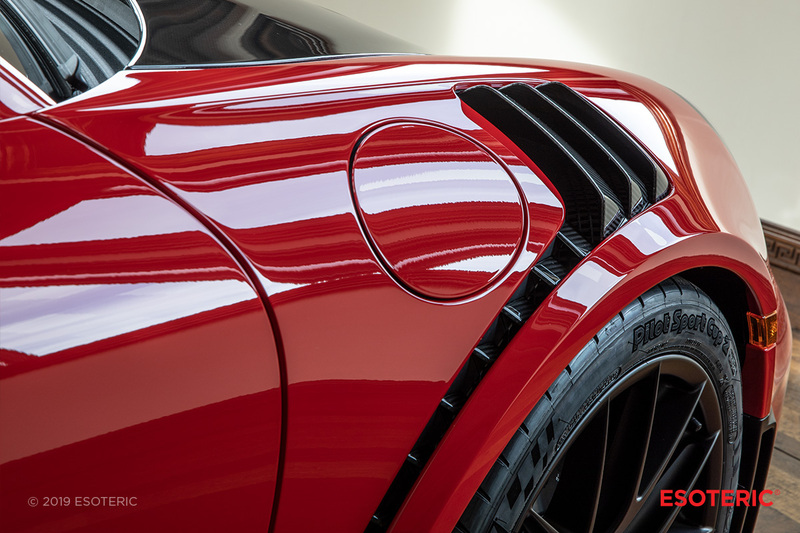 Even fresh from the factory, these vehicles are known to come with sanding marks, marring, and swirls in both the painted panels and carbon fiber. 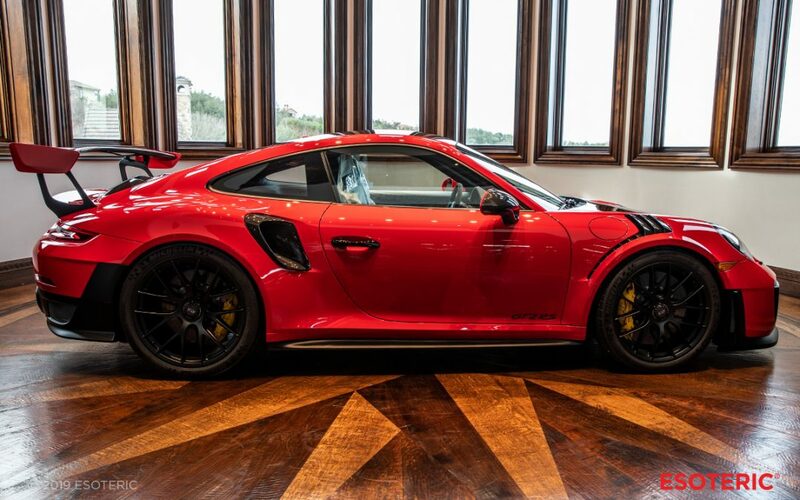 Since we work on all models of Porsche’s regularly we were prepared to tackle the defects present in this GT2RS. 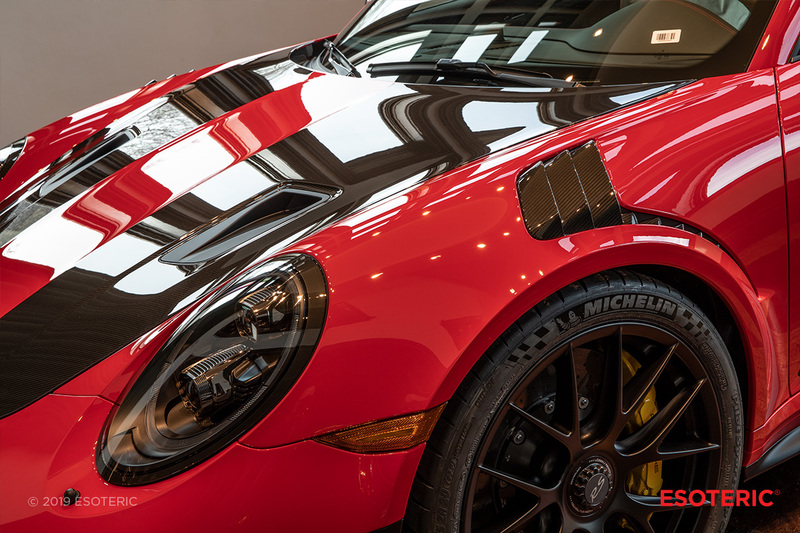 While a single-stage paint correction can yield incredible results, for deeper defects such as sanding marks we need to perform compounding first. Sanding marks are typically created when touch-up work is performed on the vehicle while still in the factory. Going after dirt nibs or other defects is common, but, assembly lines aren’t typically set up to finish down the paint correctly afterward! This is where we can come in and really perfect the paint. Doing so right after taking delivery of a vehicle is the best time to perform these services. It sets up a great base for applying paint protection film or coatings. 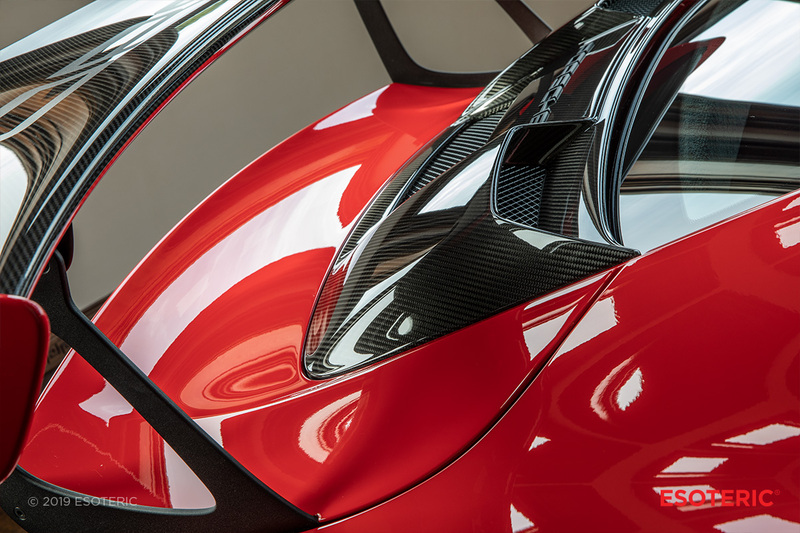 Just as the painted panels, (most) carbon fiber on vehicles has a clear coat and can have the same defects as paint. But remember, testing the depth of the clear coat and knowing the right approach can differ than painted panels on the same vehicle! 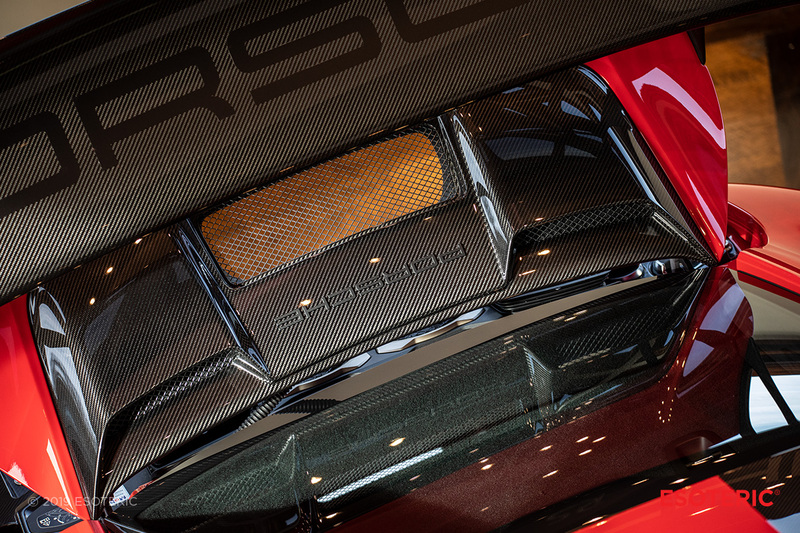 Carbon fiber can be finished in a different part of the factory using different techniques. Properly finishing these parts can really make a difference when it comes to the vehicle “popping” visually! 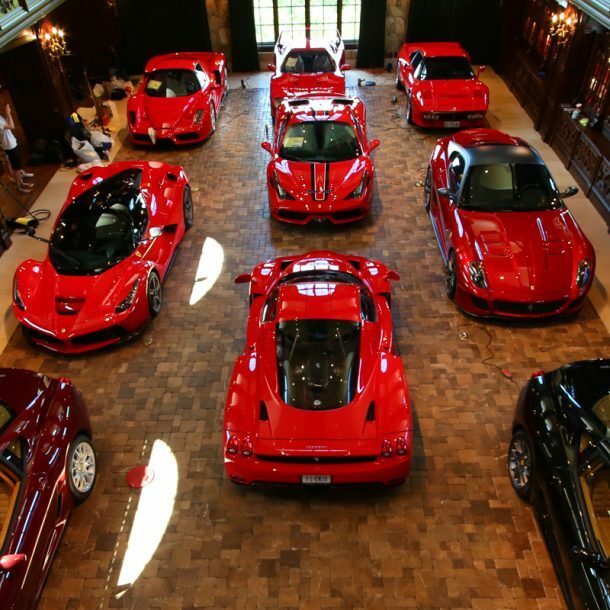 What do we top our polishing work with? The best coating on the market! Easy to apply, when fully cured this coating is the cherry on the top of great paint correction. We will let the photos do the talking! KAMIKAZE Collection detailing products and coatings are carried exclusively in the US by ESOTERIC and are available to detailing professionals and enthusiasts. Thank you for coming along on this detailing journey! Please contact us with any questions on the services displayed here or for your own vehicle.